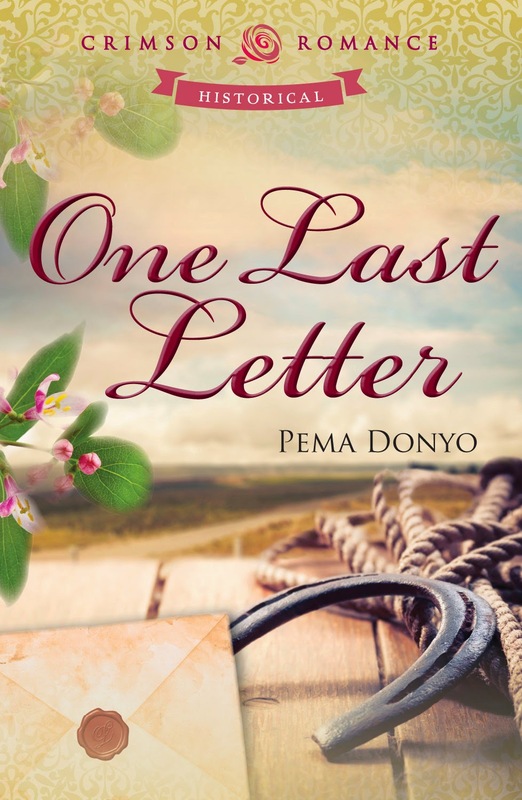 Love Saves the World welcomes Pema Donyo and her book, One Last Letter. What do a dictator, president, country star, and founding feminist have in common? Love letters! Oscar Wilde wrote, "I will not bare my soul to their shallow prying eyes. My heart shall never be put under their microscope." Yet there are many famous figures throughout history who have had no problem with such "baring their soul" through writing for others to see -- or rather, for their beloved to see. For many, professing passion through writing is much easier than admitting one's feelings out loud. In my historical Western romance, One Last Letter, a rags-to-riches cowboy -- Jesse -- sends anonymous love letters to the hard-working plantation owner who once rebuffed him -- Evelyn. By way of his writing, Jesse captures the emotions he longs to verbalize to her in person. He isn't the only man who's expressed himself with eloquent words through love letters; read about the famous couples below who also left behind a letter legacy of their own! "I am going to bed with my heart full of your adorable image ... Kisses on your mouth, your eyes, your breast, everywhere, everywhere." Napoleon's love for his wife Josephine is as heartbreaking as it is beautiful, considering the many stages of their relationship are well-documented through love letters. In fact, Napoleon left to command an army near Italy only a few days after his wedding, forcing their only communication to be through writing. This early period of letters marks the most passionate stage of his writing; he wrote often and in earnest to write how much he missed her. "I have seen near a score of years roll over our heads with an affection heightened and improved by time ... the image of the dear untitled man to whom I gave my heart." Lots of traveling was required for John's political career, and thus an estimated 1,100 letters were exchanged between the two. It was also in one of these many love letters that Abigail is known for reminding him to "remember the ladies." The lively missives are filled with as much news about the children as they are with political debates. "The fire and excitement may be gone now that we don't go out there and sing them anymore, but the ring of fire still burns around you and I, keeping our love hotter than a pepper sprout." Johnny Cash married June Carter in 1968 and they stayed together until her death (35 years later). While their relationship began in scandal (he was already married to someone else), he's credited her multiple times with helping him fight his battle with drug addiction. He added, "She has saved my life more than once. She's always been there with her love ..." Plus, they sang amazing duets together! "I wish I may find you at home when I carry this letter to drop it in the box, -- that I may drop a kiss with it into your heart, to be embalmed, till me meet, closer." She was a social critic and strong advocate for women's rights; he was a radical reformer and anarchist. The intellectual couple bonded over their mutual hope for political reform and a strong belief in individual freedom. Yet the relationship met a tragic end when she died from complications of childbirth the same year she married him. Still, the love letters between the two remain a testament to their short-lived love story. What other love letters do you think should be included in this list? Do you think handwritten love letters still hold a place in the digital age? He’d changed, more than she would have ever imagined possible. The boyish frame was filled out, and extra years working on the ranch had defined the muscles in his arms under his coarse brown shirt. He’d even grown taller -- past six feet, she guessed. His shoulders were broader, and his cheekbones seemed more pronounced than before. His face carried even more of an aristocratic air, but his body seemed undeniably more masculine. What intrigued me about this book is the idea of letters being exchanged between Evelyn and Jesse, the daughter of the ranch owner and a ranch hand. Theirs is a relationship that crosses social boundaries and we see the toll this takes on our hero and heroine. Eve sacrifices her love for Jesse and pushes him away, for the sake of saving the ranch and making a more advantageous match, but, even after 2 years, her heart still pines for her childhood friend and love. The letters they exchange are a revelation, expressing the confusion and hesitation of two people who have suffered the pain of a broken heart. I enjoyed reading the very honest admissions between the two. But this made me wonder: why couldn't they say it to each other? I felt as though Eve and Jesse were two different people: so reserved and distant during the day, and passionate and expressive by night. I kept waiting for the moment when these two halves of their selves would meld and resolve everything between them. Granted, the author really wanted to test our hero and heroine by prolonging their agony, but I wish their was more in terms of obstacle instead of just the inability to communicate. I enjoyed the secondary love story between Loretta and Preston, and the author did a good job mirroring the two couples: I thought it was ironic that Jesse wasn't going to allow Loretta to marry Preston because he's a "mere cowboy," and Jesse wishes for Loretta to move up in the world. I thought Preston was a wonderful character and showed a lot of honour in how he dealt with Jesse's disapproval of him. Overall, a sweet and straightforward story. 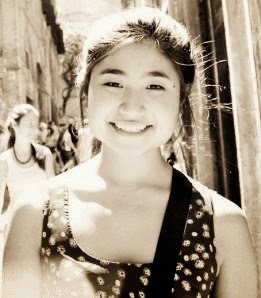 Pema Donyo is a coffee-fueled college student by day and a creative writer by night. She currently lives in sunny Southern California, where people wear flip-flops instead of Stetsons and ride in cars instead of carriages. As a rising sophomore at Claremont McKenna, she’s still working on mastering that delicate balance between finishing homework, meeting publisher deadlines, and ... college. Black coffee, period dramas, faded book covers, and peanut butter continue to be the driving forces in her life.